Join over the 5 millions players in the Prime’s World Universe and fight off hordes of monsters created from a mysterious cataclysm event! 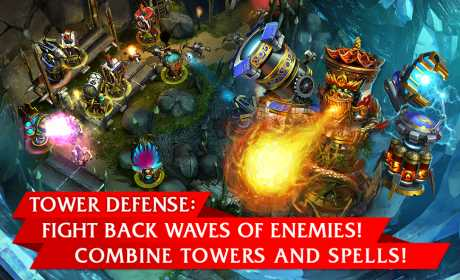 Defenders: TD origins merges classic tower defense gameplay with collectible card mechanic. Your towers, spells and traps – all are the magic cards. Collect them, fuse them and get them even more powerful! 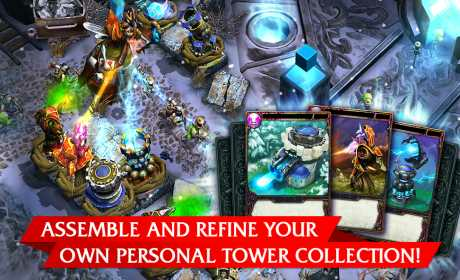 Freeze, burn, poison, explode and slash countless enemies with unique Magic and Tower collection! Choose your cards carefully, play them strategically and expect heavy resistance along the way – from small and harmless mutated fungi to powerful giant goblins and dragons! Enhance your hero spells and skills, be strategic and try Heroic Mode to become the greatest Defender. Your own strategy for every map – find the unique combination of towers and magic to build an incredible defense! 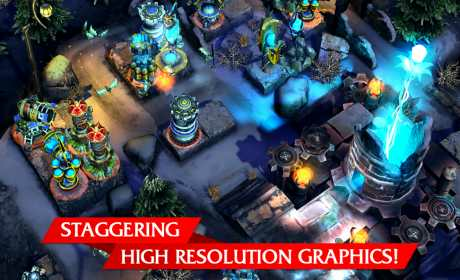 Awesome 3D graphics, ultimate TD arsenal, immersive environment, powerful towers, deadly spells, Runes, Totems, heroes and dragons and even more amazing features! Try it right now and claim the Prime!